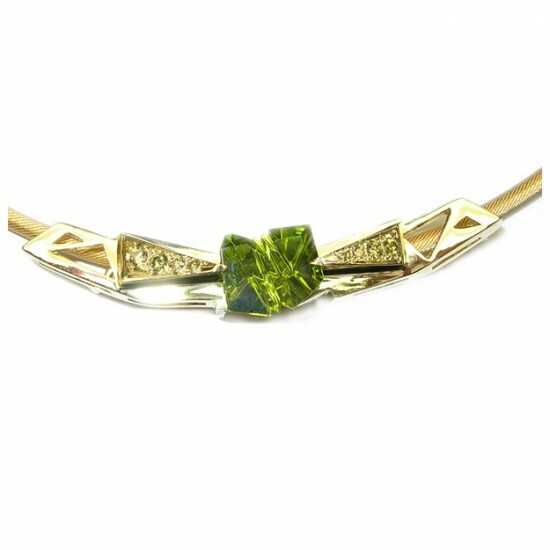 Custom carved peridot enhancer. 4.75 ct. fine deep yellow/green, from Germany. Triangular open work. accented with round natural color diamonds,yellow and green tones, in 18k yellow gold, with an 18k nautical cable necklace. 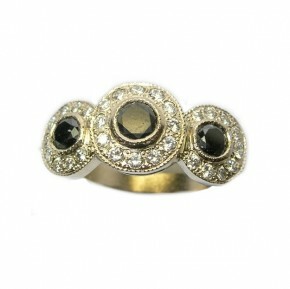 Black and white pave' diamond ring. A classic vintage style, in14k white gold, with antique beaded bezels. 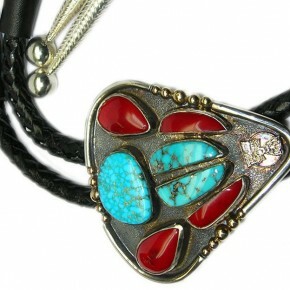 A western bolo tie. 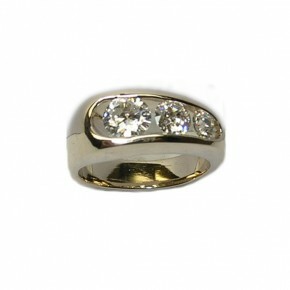 made in sterling silver, and 14k yellow gold. Fine battle Mtn. blue turquoise, and red coral. A bold contrast of shape and color.